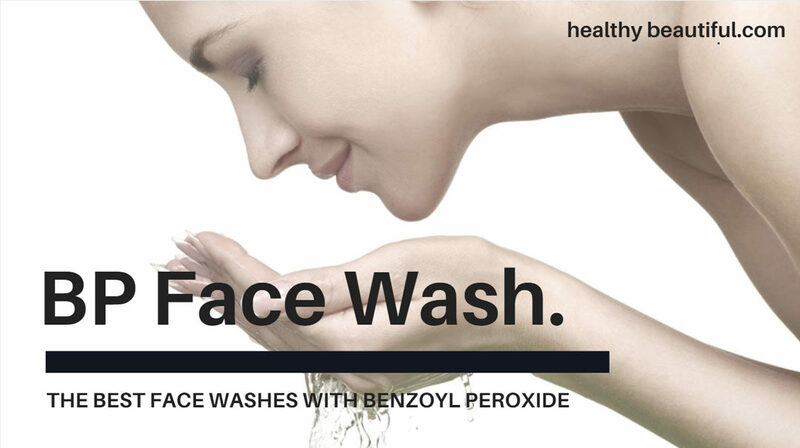 Benzoyl peroxide face wash and cleansers works to both prevent and treat inflammatory acne (cysts, red pimples, and zits) and non-inflammatory (blackheads and whiteheads). Use a hypoallergenic, non-comedogenic moisturizer after application to counter potential side effects like dryness or redness, and restore the skin’s pH. This is a very, very crucial step — after applying benzoyl peroxide, let it absorb for a few minutes and follow up with a gentle and deeply hydrating moisturizer. Moisturizing is truly not optional if you want to have clear and healthy skin. We want the benefits of benzoyl peroxide, not any of its side-effects. If you’re suffering from severe acne, its best to undergo a program that will help you get to the root of the problem and address the causes. Acclaimed programs like Mike Walden’s Acne No More can be a great start. Product or service details are collected directly from the manufacturer and other reputable sources during the time of this review. We try to keep on top of new formulations when we can and update our data accordingly. Recommendations are based on our research, results, a comprehensive analysis of the products' formulation, claims, value for money, and other consumer reviews. We make an effort to be as objective as possible and give advice in good faith; however, our reviews are 100% honest and therefore may still contain conjectures and opinions based on our personal experiences. Here is our curated list of the best benzoyl peroxide face wash and cleansers based on formulation, our experience, value for money, specifications, and other consumer reviews over the years. Jump to: Product Comparison Table: The Best Benzoyl Peroxide Face Washes & Cleansers. This BP cleanser comes with circular jojoba ester granules to gently but effectively exfoliate pore-clogging oils and debris. The 2.5% benzoyl peroxide then kills any acne bacteria on the skin. Speaking of pumice, the grains are very fine so it can hold up to its claims of not being harsh or abrasive. However, as with any cleanser that contains exfoliants, you might want to skip this if you have very sensitive skin or have cystic acne lesions. A better choice for you might be a combination of gentle cleanser + leave-on benzoyl peroxide instead.) That’s going to be physically less strenuous on the skin. If you have oily, resistant skin that’s prone to breakouts; this may be a great fit for you. This 2.5% benzoyl peroxide cleanser blends the anti-acne power of benzoyl peroxide and the soothing, anti-inflammatory properties of aloe vera. This combination helps restore the skin’s healthy balance that would otherwise be extremely thrown off by BP. Aloe vera is one of the oldest medicinal plants known and has the same pH as human skin so it’s extremely healing and protecting. It doesn’t do deep cleaning though, so if you have oily skin; you might be better off with a cleanser that doubles as an exfoliant. If you have normal skin that’s prone to breakouts, this should be right up your alley. This 2.5% benzoyl peroxide face wash has been reformulated a while back. It now has better texture, no more menthol, a bit thinner, and no more beads. It also has a patented continuous-relief micronized benzoyl peroxide. This means that the molecules of the BP is smaller than average, making absorption faster and goes in deeper to treat acne. This feature is usually found in the more high-end lines so I’m a bit surprised that it’s in a more affordable brand. It claims to reduce sebum but I can’t see anything in the ingredients or formulation that specifically addresses oil control so I’d take this with a grain of salt. This daily face wash is a 4-in-1 multi-functional marvel that comes in an airy and cushiony cream. It works as: a deep cleanser, a benzoyl peroxide medication, a glycolic acid toner, and a mild exfoliator. Surprisingly, it doesn’t contain the usual irritators that come with most multi-purpose cleansers. This has hardly any fragrance. Exfoliation is done two-fold as both physical and chemical for a thorough deep clean. Glycolic acid works to loosen any dead skin cells so the tiny exfoliating beads can gently slough them off. This helps uto nclog pores and helps renew the skin for a smoother texture and healthier complexion. The 2.5% benzoyl peroxide is exclusively micro-crystalized for deeper penetration. The dual exfoliation comes as double-edged. This means the potential for over exfoliation for sensitive skins is two-fold as well. If you’re giving this a try, make sure not to scrub too hard to avoid this. A little bump up in concentration at 3%, but not too far off. It has all natural, renewable, and biodegradable cellulose buffing beads to help deep clean and flush out any impacted debris in the skin. It also helps refine pores and accelerate cell renewal to clear out acne with minimal scarring. This is ideal for acne-prone skin that’s not acclimatized to benzoyl peroxide. PCA is a brand known for their corrective and potent formulations using alpha hydroxy acids. Exfoliants improve the health and appearance of skin by promoting cell renewal and prevent the buildup of dead skin cells. This daily cleanser has a unique combination of 5% benzoyl peroxide and phytic acid (exfoliant) to gently eliminate existing and preventing future breakouts. Gluconolactone is a calming, moisturizing ingredient that promotes a clear complexion. Botanical extracts soothe irritated and inflamed blemishes, allowing the skin to heal. Free of potential irritants like synthetic dyes and fragrances. PCA SKIN® does not perform or condone animal testing. USP grade BPO wash that’s clinically proven to be non-irritating and safe for all skin types. It’s formulated for use on the face and body, perfect if you also have acne on the back or other parts. Using BP daily can help not only in fighting current breakouts but also prevent acne bacteria from building up before they start. It comes in a big bottle with a dispensing pump for convenience in the shower. Very creamy and lathers pretty well. Paraben-free & Fragrance-free. Cruelty-free and not tested on animals. 30 Day Money Back Guarantee. Also available in 10% benzoyl peroxide formulation. This is the most popular ‘generic’ BP facial wash, with good reviews across the board. I can’t quite get a hold of the ingredients from the manufacturer, but I did get a list from one of their distributors. It’s essentially a cleanser formulation + 5% BP. Pretty straightforward, so it should hold up to standard if you don’t have particular sensitivities or allergies. Just always make sure to follow up with a great moisturizer because this will very likely dry your skin without it. Also available in 10% strength. DCL’s anti-acne formulation is a multi-tasker that aims to eliminate the cause, reduce the side effects, and prevent acne from coming back. The 10% BP washes away acne-causing bacteria, while its detoxifying mineral-rich clay and plant extracts work to absorb excess oil and refine pore size. This helps prevent any future breakouts–a critical feature if you have oily skin. It also has an Advanced Algae Complex that helps diminish the sensitivity that often accompanies the use of aggressive acne treatments, and Canadian Willow Herb to help visibly and dramatically reduce redness and soothe irritation. All in all, a power packed product for those who would like their BP treatment done to the next level. Dermatologist tested. Paraben-free. Non-comedogenic, hypoallergenic. 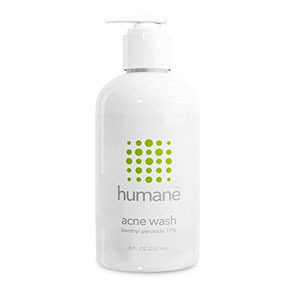 Another dermatologically prescribed product, this foaming wash would work well for normal skin. 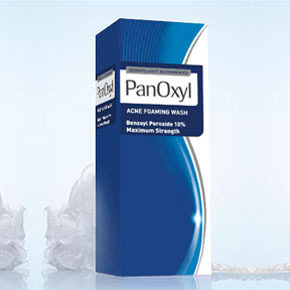 PanOxyl® 10% Acne Foaming Wash is still the #1 acne wash in the US, in drug class of trade or drug stores. Looking at the formulation though, there are a number of potential irritants present. If you have sensitivities or allergies to certain cleansers, I would stay clear of this one. It can also be drying, so always follow up with a very hydrating moisturizer. Best for: Normal, resistant skin. The only brand amongst all mentioned to has an EWG rating. This means that it is environmentally friendly, there are no harmful chemicals used, and there is a very low chance of irritation or allergic reactions to any of their line. This product is made in USA, in a FDA/cGMP compliant facility. Highest EWG safety rating of 1. No parabens, SLS, fragrance, or animal testing. 100% hassle-free guarantee. 1 Control Corrective Medicated Pumice Wash 2.5% Deep cleaning with jojoba ester granules. Eliminates bacteria, oils & cellular debris. No parabens, synthetic dyes, petrochemicals, phthalates, triclosan. All skin types; Resistant, Acne-prone or with visible blemishes. 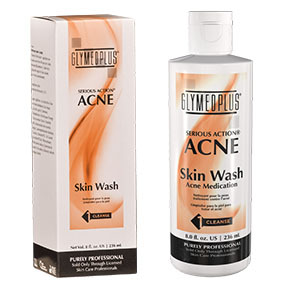 3 GlyMed Plus Serious Action Skin Wash 2.5% Soothing, anti-inflammatory properties of aloe vera. Unbalanced and problematic Acne-Prone skin. 4 AcneFree Acne Cleanser 2.5% Patented continuous-relief micronized benzoyl peroxide. All skin types; Acne-prone skin. 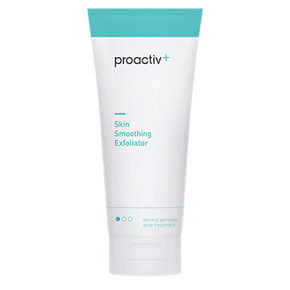 5 Proactiv+ Skin Smoothing Exfoliator 2.5% 4-in-1 multi-functional daily face wash with glycolic acid and exfoliating beads. Non-greasy, sulfate-free, paraben-free, non-comedogenic. All skin types; Resistant, Acne-prone skin with dull, uneven texture. 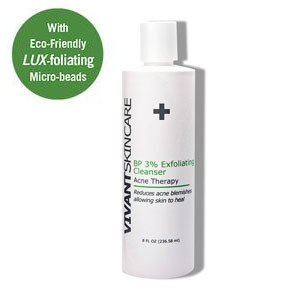 6 Vivant Skin Care BP 3% Exfoliating Cleanser 3% All natural, renewable, and biodegradable cellulose buffing beads. Non-comedogenic, cruelty-free. Combination to Oily skin; Acne-prone skin with large pores and prone to scarring. 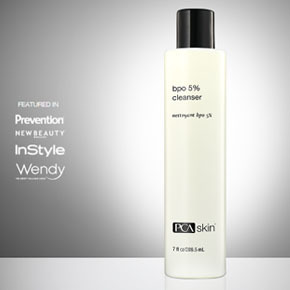 7 PCA SKIN BPO 5% Cleanser 5% Benzoyl peroxide + phytic acid (exfoliant). Moisturizing, soothing botanical extracts. No synthetic dyes, cruelty-free. All skin types; Resistant, Acne-prone skin with dull, uneven texture. 8 Benzoyl Peroxide 5% Acne Cleanser for Face & Body 5%, 10% Formulated for face & body. Paraben-free, fragrance-free, cruelty free. Acne-prone skin on the face, body, and back. 9 5% Benzoyl Peroxide Face Wash by Harris Pharmaceuticals 5%, 10% Simple, affordable benzoyl peroxide face wash. Normal, resistant, acne-prone skin. 10 Dermatologic Cosmetic Laboratories B Prox Anti-Blemish Face Wash 10% Detoxifying mineral-rich clay to absorb excess oil and refine pore size. Plant extracts to reduce sensitivity and soothe redness & irritation. Dermatologist tested. Paraben-free. Non-comedogenic, hypoallergenic. (Very) Oily, Acne-prone skin with large pores. 11 PanOxyl Acne Foaming 10% Benzoyl Peroxide Face Wash 10% Simple, affordable benzoyl peroxide face wash. Normal, resistant, acne-prone skin. Skin dryness – If your skin is sensitive or isn’t resistant enough, it can start to crack and peel off in blotches (Sounds scary, I know! But stay with me here). This means your moisture barrier can be compromised. Redness or skin irritation – including a bit of stinging if you have extra sensitive skin. If left unaddressed, dry skin can clog pores and irritated skin can practically guarantee breakouts in acne-prone skin. The solution? Our #2 tip below! Use a hypoallergenic, non-comedogenic moisturizer after application. This is to maintain the integrity of your moisture barrier and restore the skin’s pH. the right moisturizer will help to fully counteract any of the above-mentioned side effects. Just be sure to find one that is gentle and won’t further irritate your skin (opt for formulations for sensitive skin). Check that it is lightweight and non-comedogenic so as to also not aggravate your acne. If used in daytime, complement with a broad spectrum sunscreen. If you’re new to benzoyl peroxide, start with the lowest % strength and work your way up. – It’s important to acclimatize or let your skin adjust when incorporating any new product. Your safest bet is to start with the lowest % strength, using it once every other day. Gradually increase usage to 2-3 times daily or as needed as you go on. You can work your way up in % or frequency when you feel like your skin needs and is prepared for it. If any dryness or peeling occurs, reduce the frequency or % strength. Do not use hydroquinone and benzoyl peroxide at the same time. – This is a popular brightening/whitening ingredient. You can check the label of your other products if you’re not sure. If you’re looking for a great alternative for irregular pigmentation, Vivant Skin Care 8% Mandelic Acid 3-in-1 Serum works amazingly for all skin tones. Benzoyl peroxide has been very effective for me but it is by no means a cure-all. If you’re suffering from persistent acne, its best to undergo a program that will help you get to the root of the problem and address the causes. Acclaimed programs like Mike Walden’s Acne No More can be a great start. Acnefree.com. (2017). Acne Treatment Products – AcneFree. Control Corrective. (2017). Professional Clinical Skin Care since 1997. DCL Skincare. (2017). 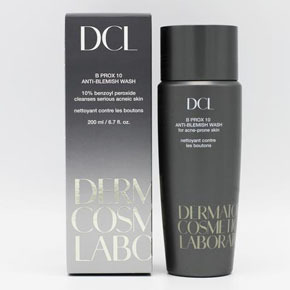 Professional Skin Care Products for Healthy Skin – DCL Skincare. Del Rosso, James Q., ed. “What Is the Role of Benzoyl Peroxide Cleansers in Acne Management? : Do They Decrease Propionibacterium Acnes Counts? Do They Reduce Acne Lesions?” The Journal of Clinical and Aesthetic Dermatology 1.4 (2008): 48–51. Print. Extreme, B. (2017). Beauty Facial Extreme. Harrispharmaceutical.com. (2017). Generic Dermatologicals – Harris Pharmaceutical. Vivant Skin Care. (2017). Vivant Skin Care.